This week I’ve pretty much just felt like a zombie every day. I’m just exhausted – I’m meant to pace my activity levels, but it’s been impossible recently with everything that’s been going on, so my body is paying the price now. Life seems to have been very busy with university deadlines and baby shower preparations. Thankfully next week is half term, so I’m really hoping I will be able to get my work done whilst also having more time to rest and catch up on sleep! This week I was really excited to share the cover of the November issue of Happiful Magazine - how gorgeous does Katie Piper look! As some of you will know, I recently did some work experience with the team at Happiful and absolutely loved it, so you will find a bit of my work inside too! But what I’m really excited to tell you is that Happiful is now available for the first time nationwide in Waitrose stores across the country! It’s the first UK magazine to focus on better mental health, which is an issue massively close to my heart. 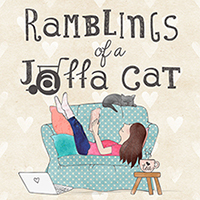 Each issue is jam packed with fantastic articles, advice, interviews and stories – I’m so glad to have discovered it. You can subscribe to the online version of the magazine for free on their website but I would definitely recommend picking up a paper copy in a Waitrose near you as well. I’d love to hear your thoughts on the magazine when you read it, so please leave your comments and also check them out on social media. Last weekend, Emma and I finished making this nappy cake for Lisa’s baby shower. We then wrapped it in cellophane with a few other bits. I’m really proud with how it turned out and had a fun time making it. If anyone wants to order one, we’d quite like to make some more, so give me a shout and we can chat through details! 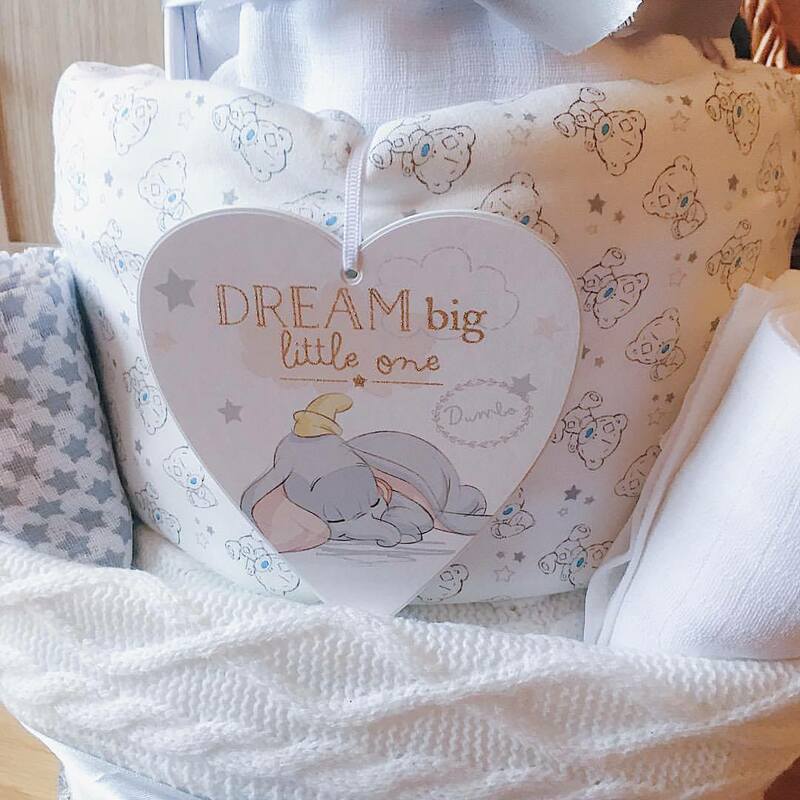 As we don’t know whether baby is a boy or a girl, we went for very neutral colours. But we wanted to add a bit of a theme, and what better theme to choose than Disney (or Dumbo to be more specific!) There’s a bit of Me to You thrown in for good measure too. How adorable is this little wooden sign?! 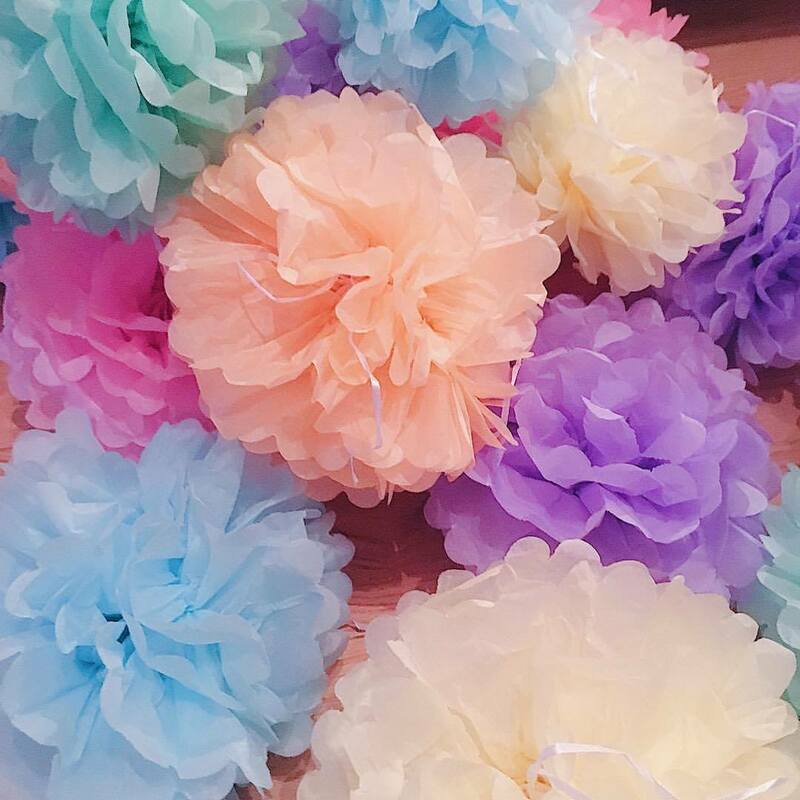 Another job for Emma and I from last weekend was to make all these tissue paper Pom Poms. I was a bit worried about how they would turn out, but when you put them all together I think they look rather fabby! I wanted to try and capture the sky at university on Monday. 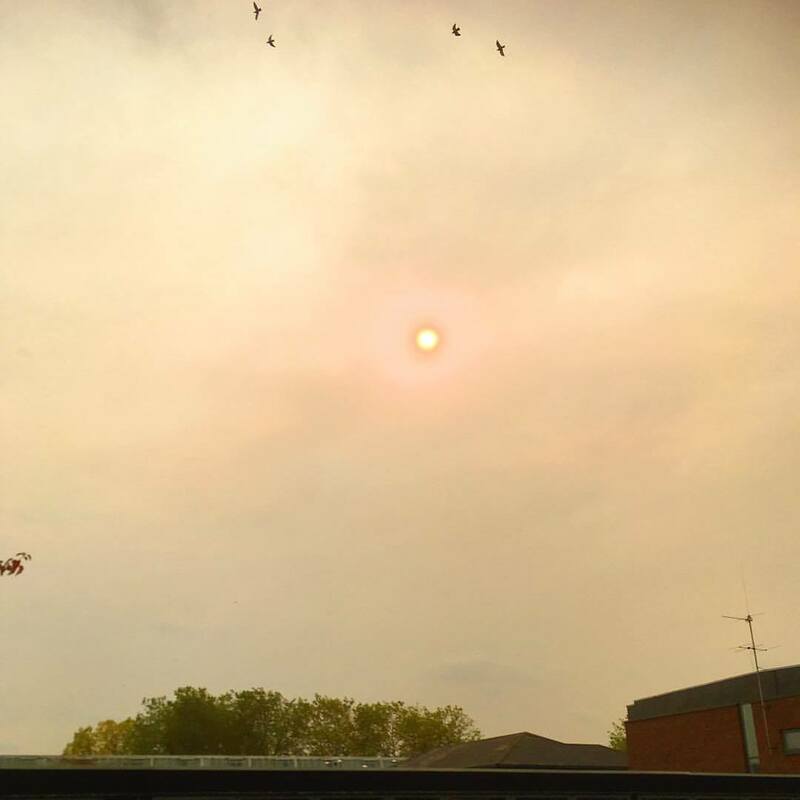 Because of Storm Ophelia, the whole sky was orangey yellow but really dark at the same time. And the sun was bright orange/pink. The clouds were also moving super quickly. It was kind of eerie but pretty cool as well. These boys like us think they don’t like each other. 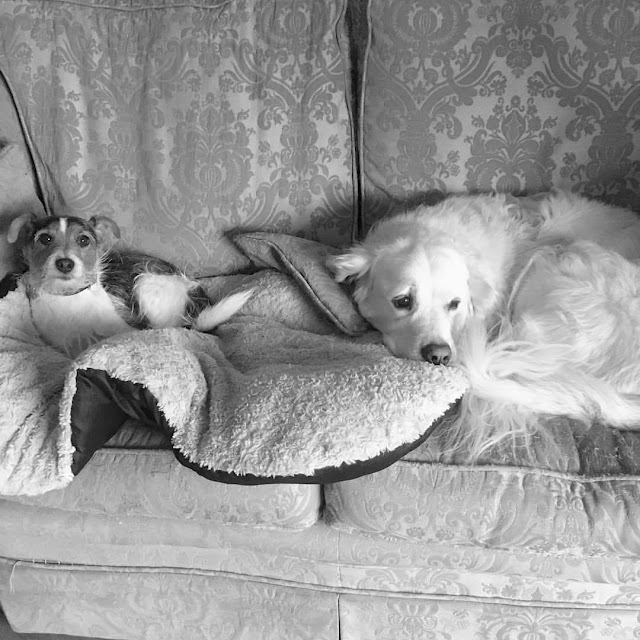 But then we catch them snuggled up on the sofa together and realise they’re best friends secretly. 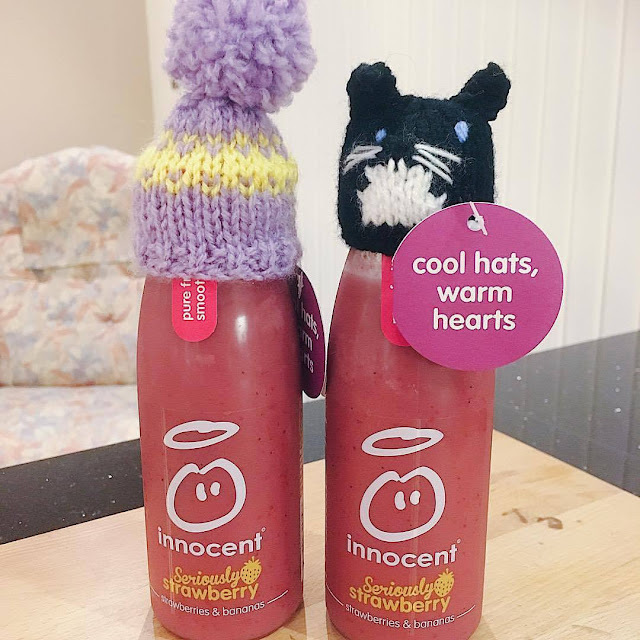 My Mum picked up a couple of Innocent Smoothies with knitted hats on for my sister and I. They’re released each year after the Big Knit, to support Age UK. Can you guess which one is for me?! My half term is looking like it’s going to be great fun(!) What I could really do with is a week to catch up on sleep and rest and perhaps some time to work on my blog and YouTube. 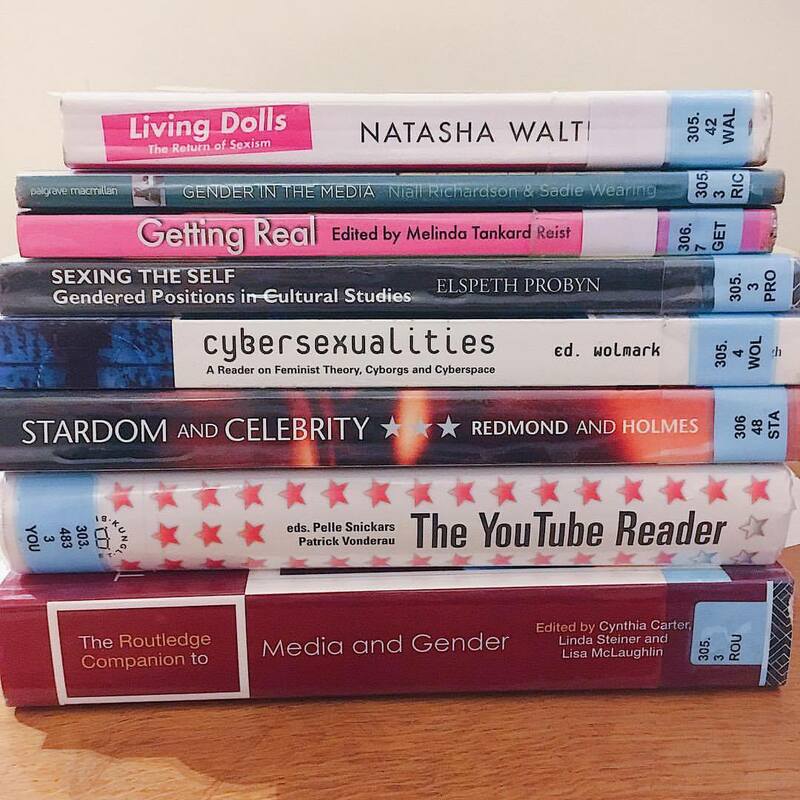 But instead, I will be researching, reading and writing the literature review for my dissertation. Any guesses what my topic is? At the moment I’m panicking a lot that I won’t get it finished in time for the deadline. 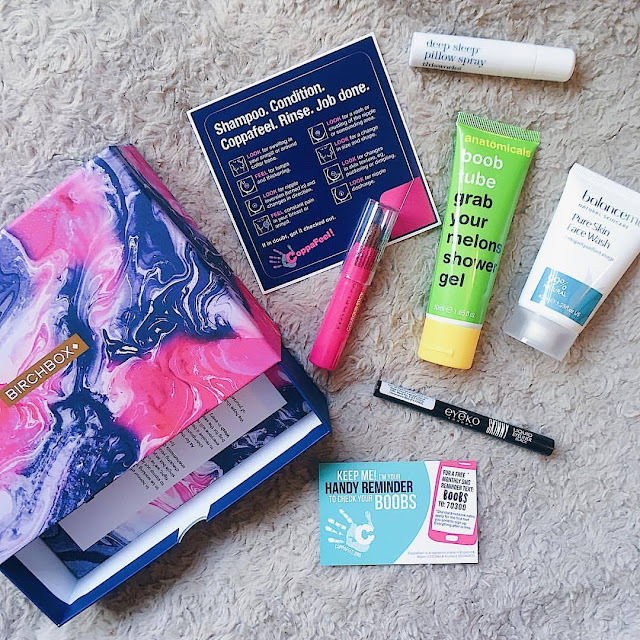 I really love this month’s Birchbox - I’ve been wanting to try the This Works sleep spray for ages and the Anatomicals shower gel smells amazing! Yesterday, after months of planning and organizing, we had my sister-in-law, Lisa’s, baby shower. I’m really hoping that everyone had a good time and it was a suitable celebration before Baby Cole arrives. 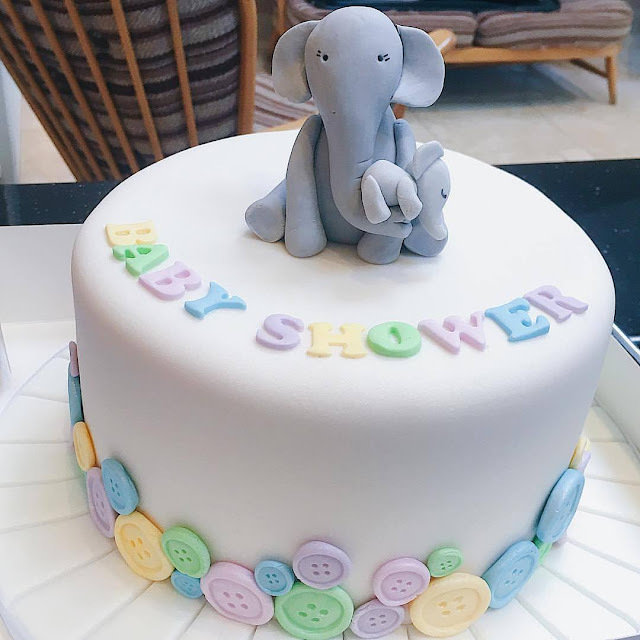 I wanted to give a particular shout out to The Cake Revolution for this adorable cake with a Mummy and baby elephant. Everyone really loved it and it went with our theme perfectly. 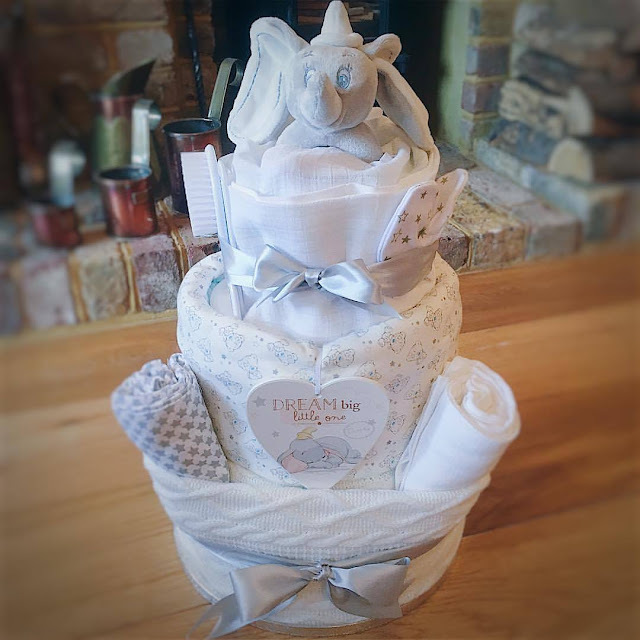 The nappy cake and real cake are both wonderful!